The Iran nuclear deal needs to be not only maintained but also expanded so that it will address the missile issue and Iran’s role in the region, French President Emmanuel Macron said upon arrival to the EU - Western Balkans summit in the Bulgarian capital of Sofia. He also said that EU leaders at Wednesday’s working dinner expressed determination to protect European companies from new US sanctions on Iran. "We had a thorough discussion on Iran. The 2015 nuclear agreement is an important element of regional peace and security so we decided to support it regardless of the United States’ decision. We pledged to take political measures that would allow our companies to stay in Iran," the French president said. "We also call on all parties to hold talks on a broader agreement. 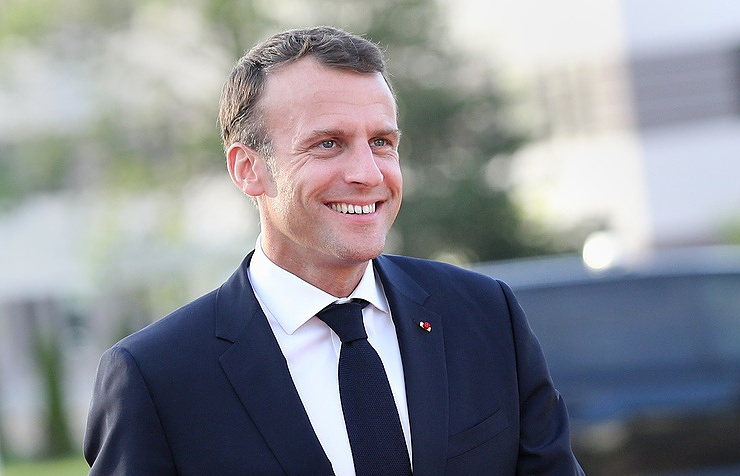 There is the need to make an additional 2025 agreement on [Iran’s] nuclear program, agreements on ballistic missiles and Iran’s activities in the region," Macron noted, adding that he had already discussed the matter with Iranian President Hassan Rouhani. "Europe showed unity yesterday in recognizing the need to maintain the agreement and Europe’s strategic sovereignty," Macron said. According to him, the European Commission "has already drawn up a package of technical proposals to protect European companies." At the same time, Macron stressed that global corporations should make decisions concerning cooperation with Iran themselves. In 2015, Iran and six major powers (five member states of the United Nations Security Council - Russia, the United States, France, the United Kingdom and China - and Germany) agreed on the final Joint Comprehensive Plan of Action (JCPOA) for the Iranian nuclear program, which particularly stipulates the removal of sanctions imposed on Tehran over its nuclear program. On May 8, Trump announced Washington’s withdrawal from the Iran nuclear deal. He said that old sanctions on Iran would be restored and new ones would be introduced in case Tehran attempted to pursue its nuclear ambitions. At the same time, he said that the US was ready to make a new agreement. In the wake of Trump’s decision, the leaders of Great Britain, Germany and France called on other participants in the deal to continue fulfilling it. Iranian President Hassan Rouhani said that Tehran would not abandon the JCPOA and would continue to comply with its obligations. Russia’s foreign minister said that Washington’s withdrawal from the JCPOA would violate the United Nations Security Council’s resolution. He added that Russia would seek to maintain the agreement despite US plans to resume sanctions against Iran.